Meet Madolyn Benson aka @gentlewomanoftheroad she has created a name for herself out of her love for vintage threads and letting everyone know “it’s okay to be”. Listen to her story on today’s edition of Inside the Winner’s Circle. If we don’t know how to identify our priorities we are in big trouble. Get some new perspective on today’s episode. Todays guest on Inside the Winners Circle is Allie Bashuk a community organizer and arts & culture curator based in Atlanta. She is Bell Jar Director at The Goat Farm Arts Center, co-founder and co-executive director of The Dream Warriors Foundation. Listen to us discuss finding your own path, participating in the creative economy, and giving yourself permission to pursue your passion. Connect with her at alliebashuk.squarespace.com . **Ready to dig into your personal & professional growth with some help? visit www.AwildaRivera.com ** **want to use travel to expand your perspective? check out the wellness escapes tab on www.AwildaRivera.com to learn more! It’s the secret sauce. listen for some fresh perspective on it. COMMITMENT is the glue that holds your success journey together. If you lack commitment it will be reflected in an inability to make consistent & measurable progress. As DJ Khalid would say, "Commitment is a MAJOR KEY" to achieving the success you truly desire. Take a listen to today's episode for some fresh perspective on COMMITMENT. **Ready to start working towards the Success you truly desire? Take some time to set up you complimentary Success Coaching consultation today by visiting the 'Success Coaching' tab on the homepage at www.AwildaRivera.com ** **Want to go on an international ADVENTURE? join me for a 2 continent - 3 city wellness escape to MARRAKESH, MADRID & MALAGA --- Oct. 1-9, 2019! Learn more by visiting www.AwildaRivera.com and click on wellness escapes. The ability to 'get your mind right' is essential to your Success Journey. Today we talk to a man who can shed some serious light on how we can each work to tame and manage our minds. Lodro Rinzler is the co-founder of MNDFL Meditation and the award-winning author of six books. His works include: The Buddha Walks into a Bar; Walk Like a Buddha; The Buddha Walks into the Office; Sit Like a Buddha; How to Love Yourself (And Sometimes Other People); and Love Hurts. He has taught meditation for eighteen years in the Buddhist tradition and travels frequently for his books, having spoken across the world at conferences, universities, and businesses as diverse as Google, Harvard University and the White House. Dubbed “the cool kid’s Buddhist” by The Boston Phoenix, Rinzler’s work has been featured in The New York Times,The Wall Street Journal, The Atlantic, FOX, CBS, and NBC. He lives in New York City with his wife Adreanna and a menagerie of small animals. Connect with him at lodrorinzler.com ---------------------------------------------------------------------------------- *Ready to make this year your most profitable, productive & passion driven yet? Visit www.AwildaRivera.com to learn how you can get started. Meet Amaya Sunn a dynamic sister with a unique perspective on life, love and living your truth. Her first foray in the publication has produced, "Things Unsaid" a collection of poems that will simply move you. Listen to Amaya and I discuss life, passion& purpose and authenticity, as we dig into her amazing story. *Order "Things Unsaid" and learn more about this amazing woman at: www.AmayaSunn.com ***Ready to connect with me directly? Interested in 1-on-1 coaching or in coming on one of my international wellness trips? Visit: www.AwildaRivera.com for more information. Reflection is a powerful tool that can make or break your next move. Listen in to get refreshed perspective on this important concept. In the absence of a positive and clear understanding of what REFLECTION truly is, you could be at risk of developing a negative and destabilizing effect on your Success Journey. Strategy is essential for progress. With out it we are just engaging in random ways behavior hoping that something will work. Dive in to the concept in today edition of the MONDAY MESSAGE. Meet Amanda Kingsmith - yoga teacher. world traveler. writer. podcast host. She created the wildly popular podcast "Mastering the Business of Yoga" where she shares valuable business advice with those looking to create a Yoga related Business. She is on a mission to create a life where she can travel & explore, and create value from any corner of the world. She is an entrepreneur seeking a life of health & happiness. She believes in living boldly and always choosing the path that makes you happiest. Listen to her discuss her journey thus far on this weeks edition of Inside the Winners Circle. 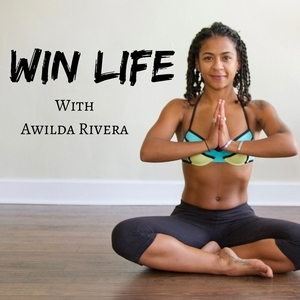 To connect with Amanda visit www.AmandaKingsmith.com Check out her podcast here: https://www.mbomyoga.com/podcast/ *Ready to redefine success on your own terms and begin taking steps towards achieving it? Visit www.AwildaRivera.com lets connect! Today we tackle Vulnerability, one of your greatest assets on your Success Journey. Listen in for a quick break down on how this characteristic can be a powerful tool. Patience is a virtue — we’ve all heard this phrase. The truth is Patience is like a light saber in the hand of Luke Skywalker against the obstacles of the Universe. Learn more on today’s episode. Meet Greg aka the BIDOBoss! He is changing the way we thinking about bachelor and bachelorette parties almost single handedly. As a young entrepreneur Greg, has a lot of wisdom to share with you on this episode of Inside the Winners Circle. Listen to him discuss his journey from employee to BOSS. As he drops a to of knowledge, like this pearl of wisdom is "Find Your Passion, Find Your Craft, and the money WILL come." Greg's story is garaunteed to resonate with you and get you fired up Interested in working with BIDO Events? Connect with Greg at www.BIDOEvents.com mention this podcast for a special discount! **Ready to see the world or work 1-on-1? Visit www.AwildaRivera.com for more information! My Guest this week is the amazing Artesia Balthrop. This amazing woman discusses her hard fought journey in the entertainment industry on the Production side. She talks frankly about some of the high and lows she experienced, as well as sharing some invaluable advice with all of you who are looking to break into an industry that is may seem inaccessible. **Ready to work 1-on-1? Visit: www.AwildaRivera.com *Planning your next Escape? Join me Oct. 6-11,2018 for Colombia Escape or April 18-23, 2019 for Barbados Escape! Meet Kala Lacy, community healer, wellness warrior, activist, raging water sign, and teacher of holistic health who works within underserved communities across the nation to educate folks about physical, emotional, mental, and spiritual wellness. Co-founder of the The Well. As a trained psychotherapist, trauma-informed registered yoga teacher, and Director of Communications for BlackGirlYoga, a global community of Black femme yogis - Kala has a lot to offer when it comes to understanding how to 'WIN LIFE'. Connect with her here: https://www.thewellhealing.com/ IG - @benditlikeLacy FB - https://www.facebook.com/KLCommunityHealer/ Want to hear more stories of growth from other entrepreneurs like Kala? Ready to dive a little deeper on your growth journey? www.AwildaRivera.com to learn more!!! This episode explains why the pains of transformation are good after all. Want more? Visit www.AwildaRivera.com Lets Work together! This episode tackles Adversity and a few tips to overcoming it. Visit www.AwildaRivera.com for more resources! In this Episode I talk Passion & Purpose with DJ Townsel former NFL WR for the Houston Texans turned IG Yoga superstar. He reveals how he became a Yogi, why helping people tap into their physical potential is so important to him, and his message for all of you looking to Win Life. Check him out at: www.Dade2Shelby.net See him as a part of the Moving Art Experience or on his Yoga Day Tour coming to a city near you through out 2018.